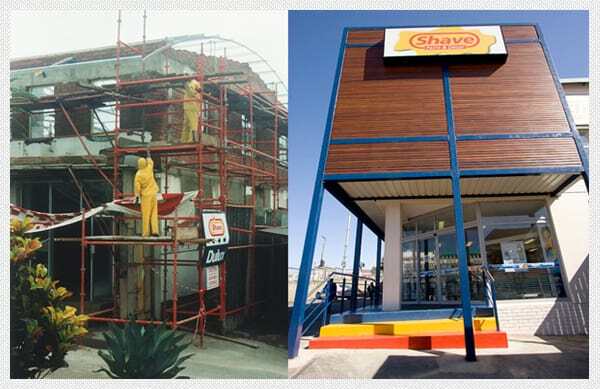 On 1 April 2010 Shave Paint and Décor celebrated 25 years of successful trading and 100 years in the South African paint industry. Scroll down to learn more. 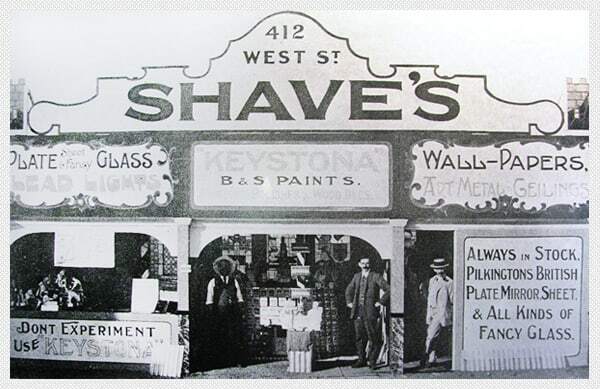 With a shop in Prince Edward Street, they established paint factories in Bellair & later at Jacobs. 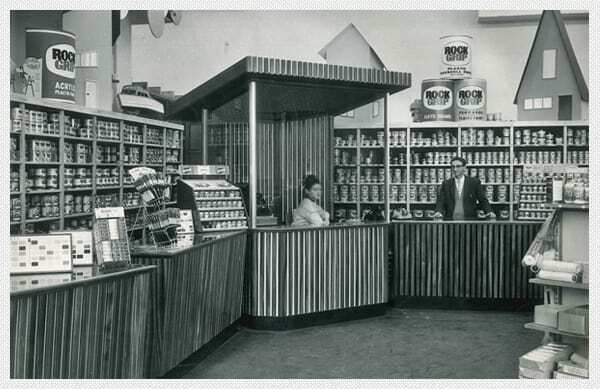 The grandsons, two from each son Jack and Arthur, expanded into the manufacturing of Decorative, Industrial, Refinish & Automotive Paints with branches and stores in most leading cities and towns in the country. The grandsons, two from each son Jack and Arthur, expanded into the manufacturing of Decorative, Industrial, Refinish & Automotive Paints with branches and stores in most leading cities and towns in the country. Image: 16 Burg Street, Cape Town. G.C Shave Paint & Wallpaper. This store was closed when the landlord (Protea Holdings) decided to develop the land. In 1969 there was a Stock Exchange boom in the country. Motivated by the desire to be part of a JSE-listed company, the business established in 1910 was sold to Protea Holdings. 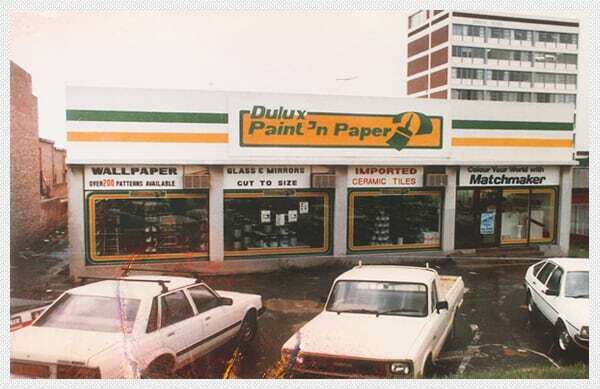 Soon thereafter, Protea merged its paint interests with Dulux and so Prolux was born in 1971. 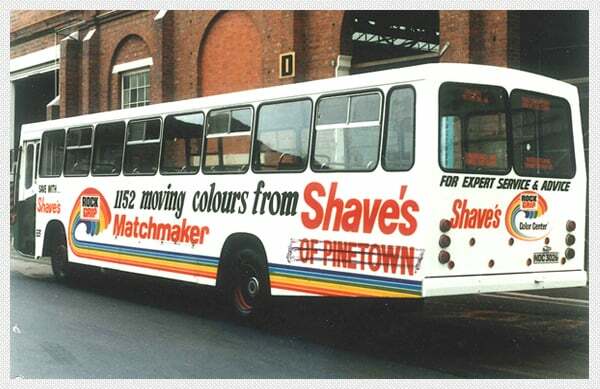 Image: Marketed as “The Paint & Wallpaper Centre” (part of G.C Shave Group) in Port Elizabeth (1961 – 1971). 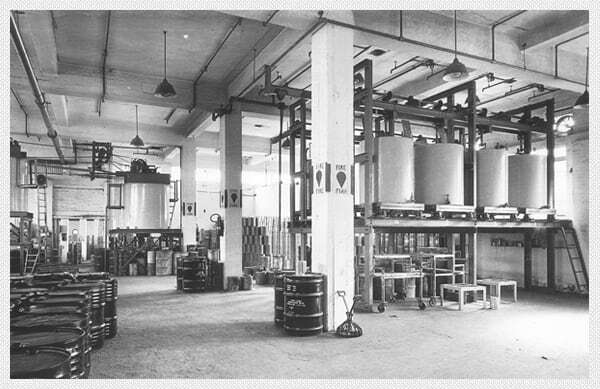 During the 60’s, 70’s and 80’s both Prolux and Plascon factories grew in their dominance through acquisitions. 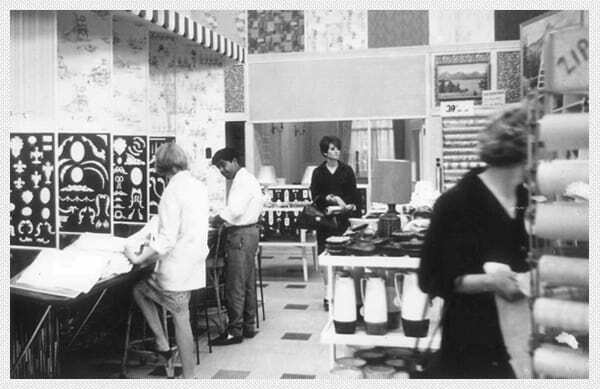 Plascon had incorporated many well-known businesses and 36 brands. This was the age of the conglomerates and big companies. 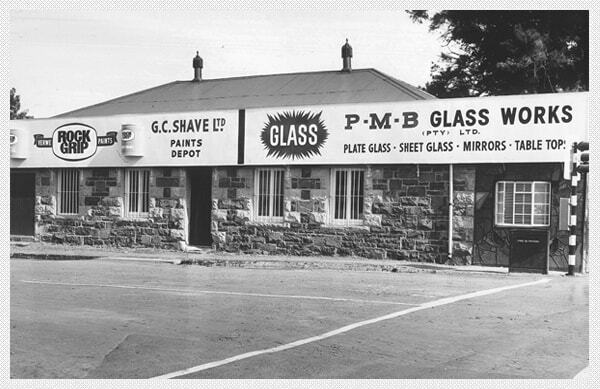 Image: Circa 1965 – 68/70 Ladysmith & Depot shared by Pietermaritzburg Glassworks & G.C Shave’s. The first days of the Pinetown branch (Early 1980s). Left: Daraval Reddy (Operations Director, over 20 years of service). 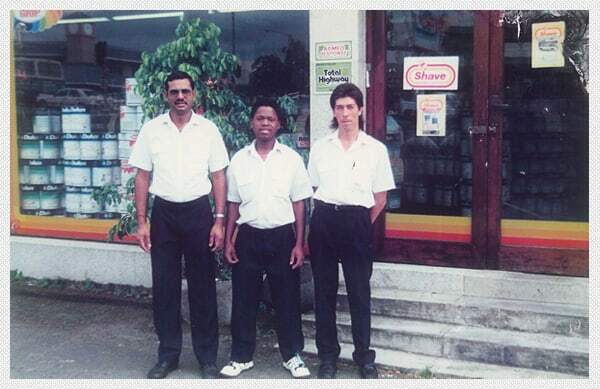 Middle: Stephen Mkhize (Retired) – His son Siyanda now works at Shave’s. Right: Michael Hauptfleish (Colour & Wallpaper Expert, now deceased). Pinetown provided a sound base for growth. 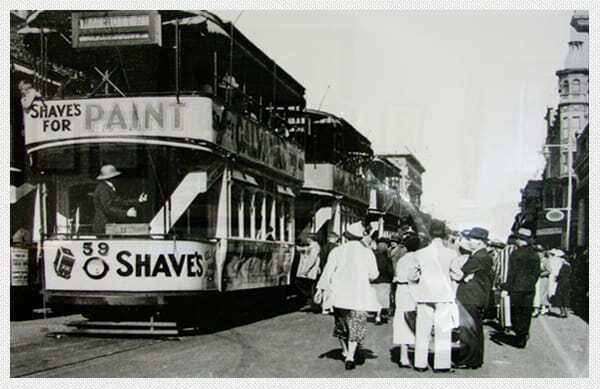 The Shave name, which had been well respected for over 75 years, was brought back, the building was re-signwritten, stock, fittings, furniture and vehicles were bought from Dulux. Image: Moving advertising (during early 1980s). 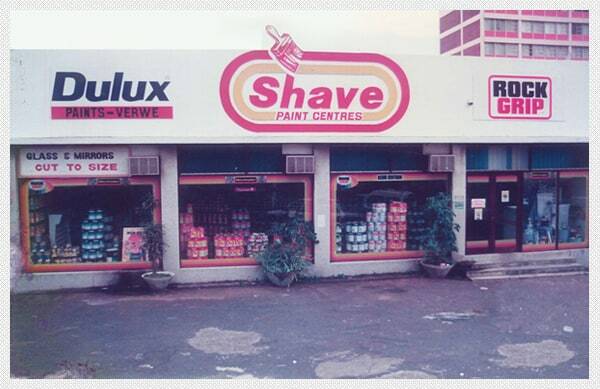 After Pinetown Dulux Paint ‘n Paper was bought back by the Shave family. After a number of years, the Plascon brand and its products were added to give our customers even wider choice, and more recently the proudly South African Dekade brand. Under the leadership of Nick Shave further branches were established at Springfield Park, Umhlanga, Hillcrest, Ballito, Bluff and Boksburg and Amanzimtoti to complement the existing Pinetown branch. Image-left: The Pinetown branch alterations getting underway to grow and expand. Circa 1999. Adding on a 2nd floor which today houses reps and credit control, expanded showroom, dispatch and warehouse below.